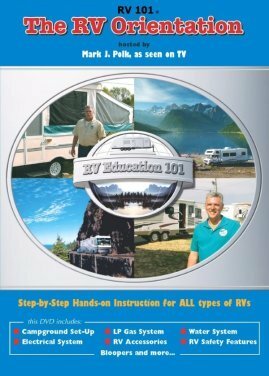 There are lots of RV Destinations that we should all go to. We all have a memorable place or heard about a place that everyone raves about. Perhaps it is on your Bucket List already or a fellow traveler told you about it? Either way, some of these destinations are just so awesome you have to go there - no matter what! Many of us have traveled by airplanes to all the far corners of the US. However, how many of us have taken the time to slow down and actually see and visit some of our great National Parks throughout the US? We all know someone who's been through the Grand Canyon or Yellowstone National Park - just to name a few famous places. Have YOU ? RV Destinations is just that. It will be an evolving list of places that really need to be seen. We all get so busy in our day to day lifestyle; sometimes just trying to pay for our stuff, that we forget to stop and smell/see the "roses". We came across a really great story on Feb 25, 2014 from Huffington Post that describes the "one" thing someone should see in each state - really cool stuff! Just found a great trip planner system - RV Trip Wizard. Seems to be a really great tool for putting together a trip with lots of options to look at - campsites of all types, fuel stops, restaurants, cost of the trip, road type options, elevations, etc. etc. A very comprehensive system! Another great site we found is called Roadside America They bill it as the "Guide to Uniquely Odd Tourist Attractions". 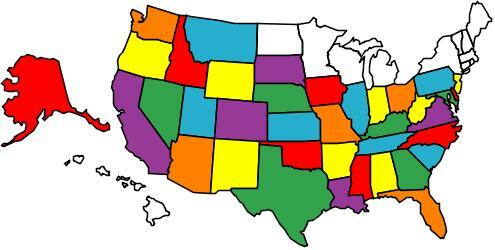 It's done by state and then by towns - very cool info and attractions on it! Nothing like an RV Lifestyle to help you re-see and re-smell some of the great (and weird!) RV places we take for granted in the US. What's Your RV Traveled Map Look Like?? There are two places that immediately come to mind and really need to be put on your Bucket List! Perhaps you've already been there? 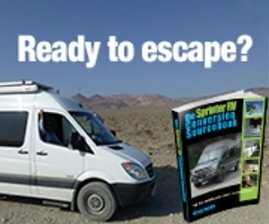 These are just 2 suggestions to get your RV mind going again! There are plenty of great places to see and visit. The idea behind RV'ing is to do exactly that. Too many of us buy that big expensive fancy RV rig (that requires lots of electricity) and "park it"! Sure, it looks nice and you have bragging rights. However, isn't it all about traveling and seeing all this neat stuff throughout the country?? 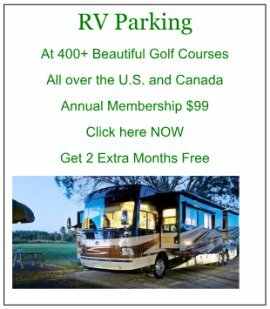 Isn't that really what RV'ing is all about - enjoying camping destinations? Remember, it's a house on wheels! It's built to survive our lousy roads and keep on going - they're "earthquake" proof! 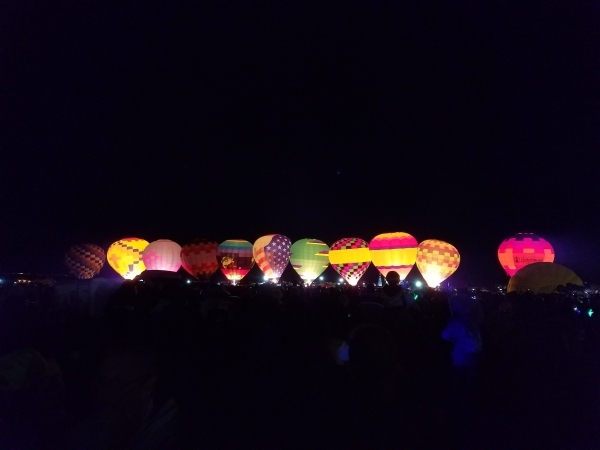 Hot Air Balloon Festival in Albuquerque, New Mexico - Another Bucket List item checked off.... OMG - just an amazing event - Especially for RV'ers!! 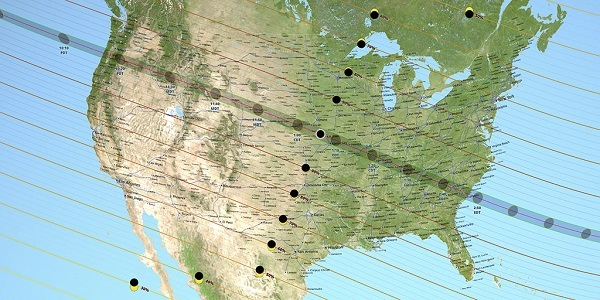 Solar Eclipse and RVing - This is a must do as an RVer. Find out what they have in common. It was a must do for 2017 - no procrastination, or you'll miss the opportunity of a lifetime!!! This is why we RV!! Solar Eclipse in Totality in Idaho - The Awesome adventure for us!! Bryce Canyon National Park should be really high (if not number 1) on your Bucket List! You could spend a week in the immediate area and still not see everything. Bryce Canyon National Park Star gazing is world famous! The rocks are too unique to not see personally. Join visitors from all over the World as they discover Bryce Canyon National Park! Alaska would certainly be up in the top 5 for sure! There are so many wildlife and natural things to see and enjoy! Bears, Eagles, Moose, Elks, Whales, Puffins, etc. An RV Destination for sure. Plus the mountains and glaciers are simply breathtaking! Harvest Hosts is a great idea that just recently got "published". It started in Europe years ago. Just imagine staying at a nice Vineyard for the night, touring their store and products (perhaps a sample - or two?) and paying only a $49 Annual Fee for that privilege! Yes, just a $49 a year Fee to Harvest Hosts and you stay on a member Vineyard or Farm for Free!! RVing Alabama brought back some great memories for us. This is where we bought our RV and started our Fulltiming adventure! This picture have you intrigued? This is mounted on a wall inside the visitor center of Red Mountain. You'll have to look at our page to see what it's all about! Arizona - Prescott - has that really wonderful Americana feeling about it. We've spent some time there and it really is a beautiful place with great people and lots to do. 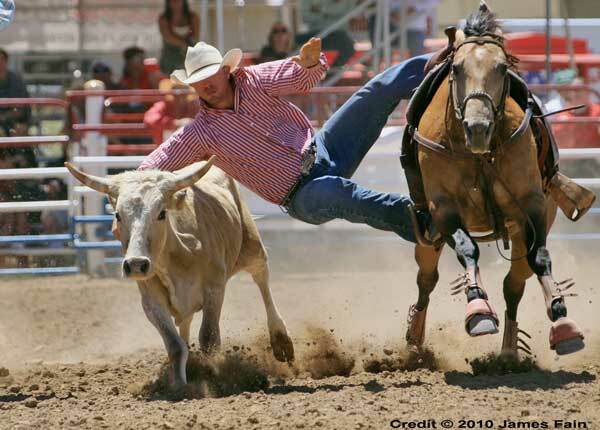 They host the "Worlds Oldest Rodeo" there too! California Driving the back roads of Central California can be quite the challenge, in a car or an RV! Thanks to Ken Figlioli, Editor of a very Beautiful and inviting website - Discover-Central-California.com we are able to share this fabulous website with you. I don't think I could ever do any part of California better justice. His website is extremely inviting, full of great pictures and stories about what a wonderful countryside Central California is! Please enjoy his site, and "Discover-Central-California" with us! Louisiana sure has nice people and places to visit - especially across the north! Whatever you reason for visiting Louisiana, it has so much to offer. Louisiana is a great RV Destination for anyone! Obviously, the famous New Orleans is in a "spot" all to itself - Mardi Gras, Parades, Restaurants, Bourbon Street, Super Bowls - and of course, the might Mississippi River ends there. We just wanted to feature the "lesser traveled", yet still great RV Destinations of Louisiana! RVing Mississippi has a special connection for all RV'ers - especially those of us that are Fulltimers! Thanks to Roadside America and our desire to see at least one "unique" place or thing in every state we visit, we are able to share an interesting place for a RV'er to visit! Parking will be difficult, especially if pulling a toad. Perhaps try parking at the Family Dollar store about 2 blocks before. Sorry, gotta click thru to our RVing Mississippi page!! North Carolina has some wonderful places to visit. We choose to just feature one of the many great NASCAR Team Facilities. Hendrick Motorsports has a beautiful "campus" hidden in a valley, less than a mile from Charlotte Motor Speedway. Believe me, it is well worth that little detour off I-85 - just north of Charlotte! 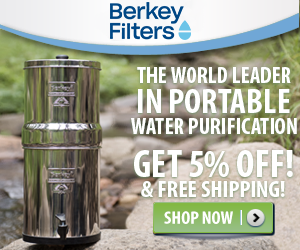 We all know every guy wants to include this on his RV Destinations list! 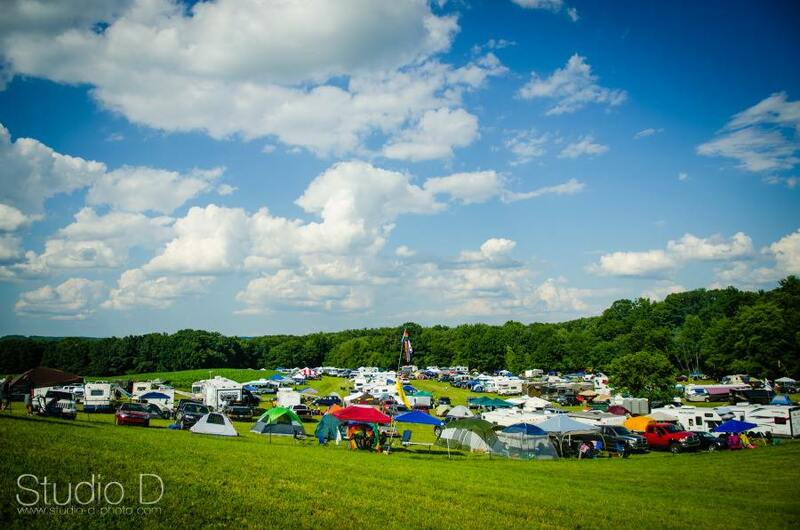 Pennsylvania offers the Briggs Farm Blue Festival It is a great place to unwind and enjoy an entire weekend of Music and entertainment. It's located in Luzerne County - NE Pennsylvania - just west of I-80 and I-81. Texas has some pretty neat places of nature and man to visit! From the incredible River Walk and Alamo in San Antonio, to seeing Bats - yes the scary kind - live and in person in Austin - perhaps even see a Country Recording Star? Those of us unfortunately old enough to know JFK, don't need an intro to Dallas. Pretty somber to go there! Utah sure is packed with wonderful places to visit. Be sure to visit our "Bucket List" section that has a direct link to Bryce Canyon National Park. A sensational setting of natural stone. Southern Utah is just full of incredible RV Destinations and viewing experiences for your personal pleasure!